You’re all-in-one Customer and Employee Retention Platform. The rise of the internet has drastically changed how you market to your customers. It quickly became a quantity game, the most likes, the most clicks but that did not generate quality engagement between your brand and your customers. With Incentivefox’s all-in-one platform, you can get back to improving your customer and employee relationships to generate more sales and more loyalty. Incentivefox’s platform and programs work for all automotive brands, resellers and shops. The Incentivefox team will work with your website developer to integrate your referral submission page into your site. The Social Media landscape is a competitive marketplace; Incentivefox will help keep your social content fresh by providing you with promotional images and content to engage your past and potential customers. We’ll also partner with your ad agency. With the Incentivefox platform, you'll never miss a referral lead again. 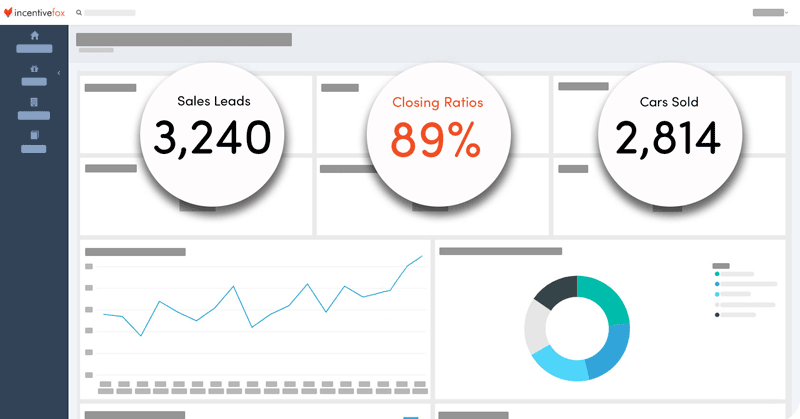 You can track leads from start to finish. Results over a 30 day campaign period.